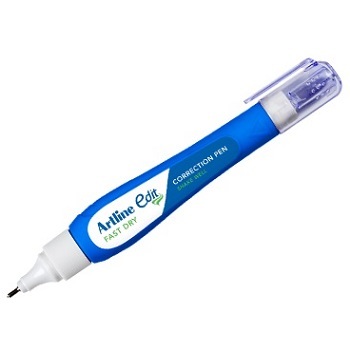 Change it your way with Artline Edit premium correction fluid pen. Easy to use, simply squeeze the pen and press the nib down on your paper to correct as you write.. Features a .02 mm metal point tip to give you greater control for accurate corrections. All purpose, super fast drying fluid. Pack of 12 correction pens. Size - 20ml capacity bottle. White. 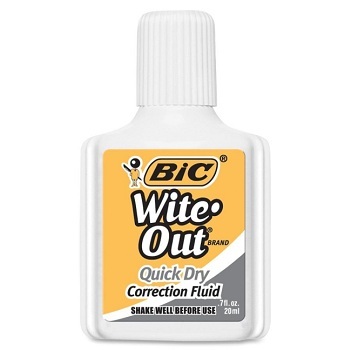 Pack of 12 bottles of correction fluid. 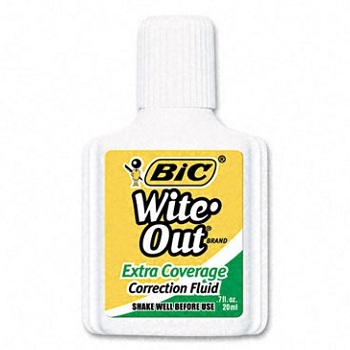 Pack of 20 bottles of correction fluid.